You Are Here: Home > 2019 INFINITI QX30 vs 2019 Lexus NX | What’s the Difference? 2019 INFINITI QX30 vs 2019 Lexus NX | What’s the Difference? The 2019 INFINITI QX30 and Lexus NX combine sporty capabilities with luxury-style passenger comfort. Which subcompact crossover is more your speed? Our comparison guide delves into the differences between these models. We’ll help you drive home the luxury crossover that’s perfect for your daily routine. Of the two models, the 2019 INFINITI QX30 delivers the sportiest ride. This subcompact luxury crossover means sharp handling and strong acceleration wherever you go. The QX30 features a turbocharged 2.0-liter four-cylinder engine that makes 208 horsepower and 258 pound-feet of torque. We’re also big fans of its robust braking performance, which makes you feel completely in control. The 2019 Lexus NX is also ready for action. Its standard turbocharged 2.0-liter four-cylinder engine is also powerful, supplying 235 horsepower and 258 pound-feet of torque. However, the Lexus NX isn’t quite as exciting as the INFINITI QX30 – at least not in terms of driver engagement and sporty handling. Both of these crossovers come standard with front-wheel drive, but offer all-wheel drive as a traction-enhancing option. The 2019 INFINITI QX30 is all about luxury. This crossover comes standard with generous passenger space and high-end style, thanks to features like dual-zone climate control and a leather-wrapped steering wheel. As you climb the QX30 trim levels, things only get more luxurious, with a panoramic sunroof, full leather seating, and heated front seats. If you cruise in the Lexus NX, you’ll enjoy plenty of ride comfort, thanks to a suspension that soaks up bumps with ease. However, we think the INFINITI QX30 has the edge in terms of class and style. Once again, the INFINITI QX30 takes the lead. This crossover’s long list of standard features does an excellent job of keeping you connected. Said list includes the INFINITI InTouch infotainment system with its 7-inch touchscreen, two USB ports, and Bluetooth connectivity. As you climb the trim levels, you’ll find more and more premium features, such as the 10-speaker Bose audio system. We have to admit that the Lexus NX is also nicely equipped with modern tech features. It even comes with an in-car Wi-Fi connection and an 8-inch infotainment display. However, the Remote Touch infotainment system can be frustrating to use, which is the last thing you want to deal with when you’re stuck in traffic. 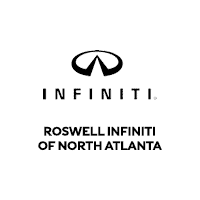 Visit us at Roswell INFINITI to test-drive the 2019 INFINITI QX30. We’ll think you’ll agree that it’s the sportiest, most luxurious crossover in this segment.